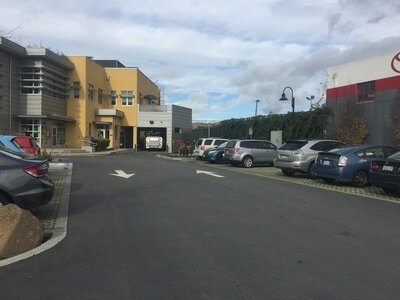 Parking: Free parking lot at the address above (near the animal shelter). 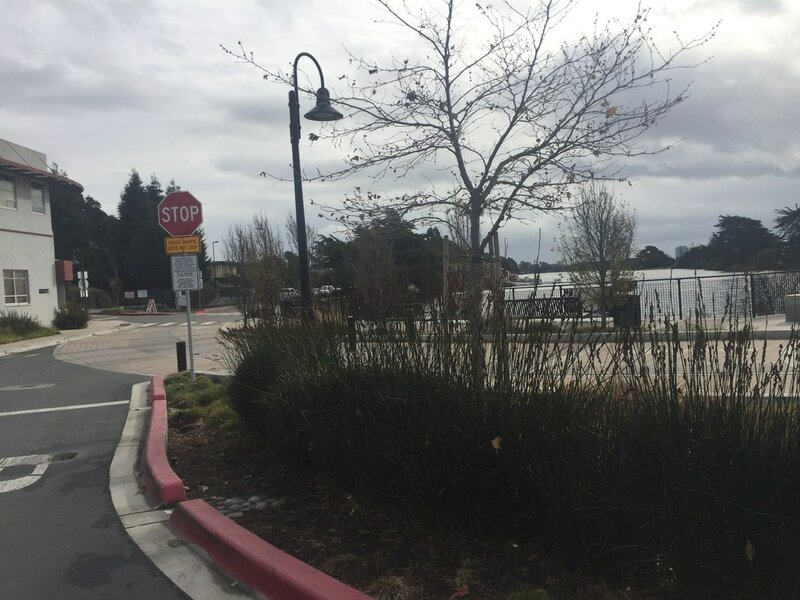 Additional free parking available down Bolivar Drive (towards the boat house). 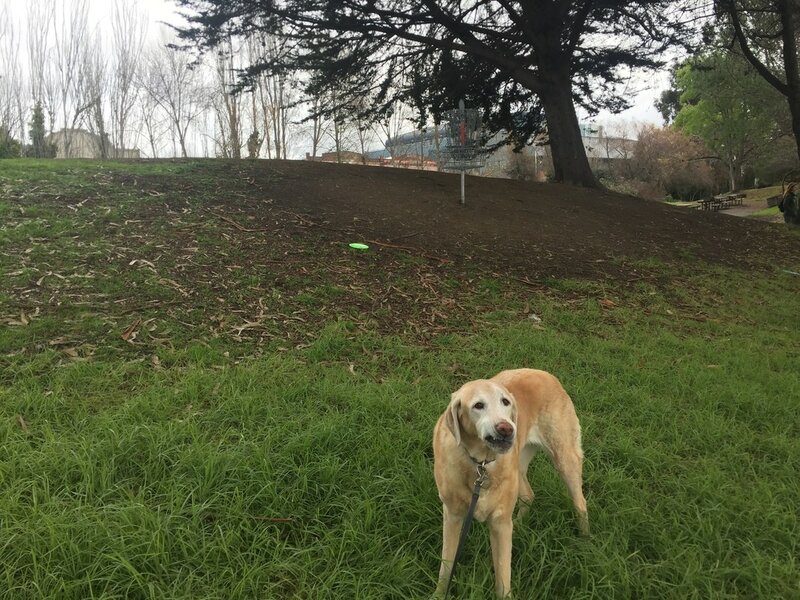 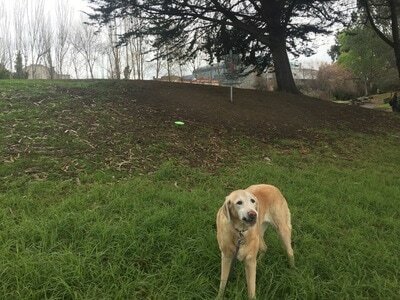 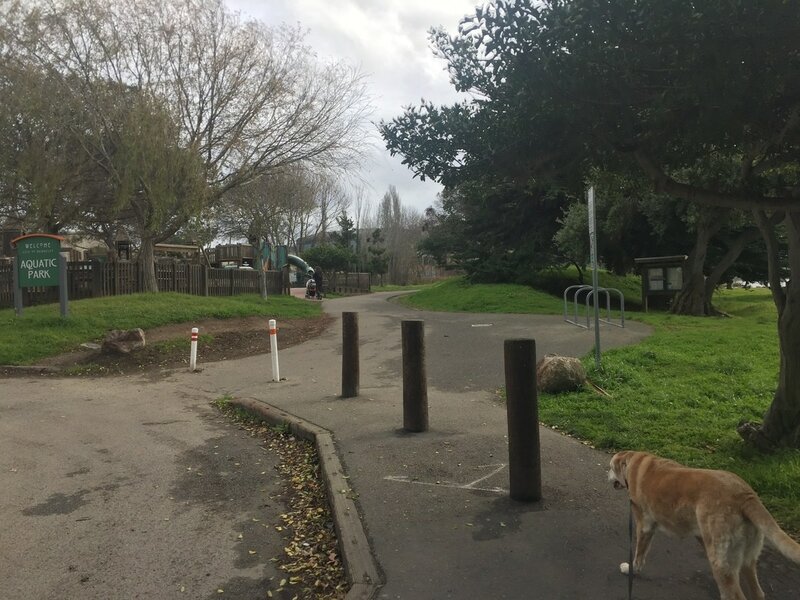 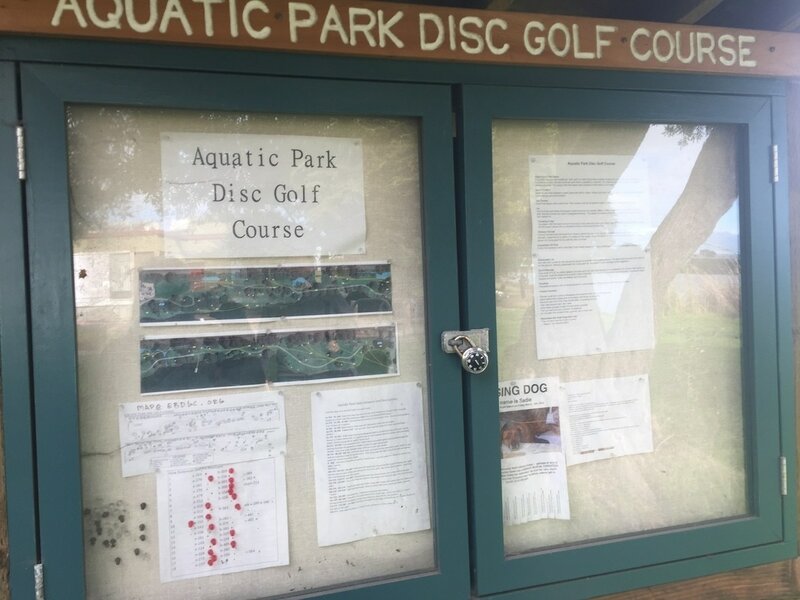 The disc golf course is further down at the south end, and parking is available in front of the first hole, near the playground. 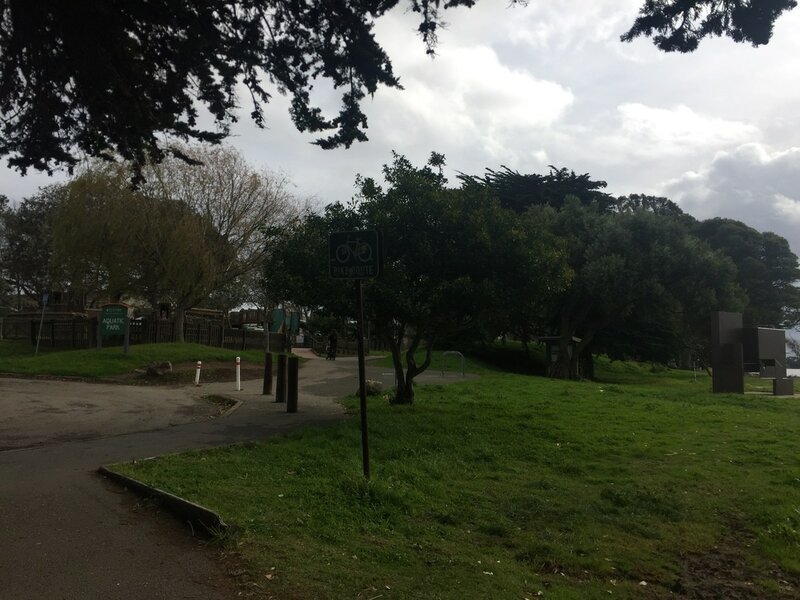 Best time to visit: Trails are partially shaded, so anytime, except after a rainstorm. This park is known to flood after a hard rain. 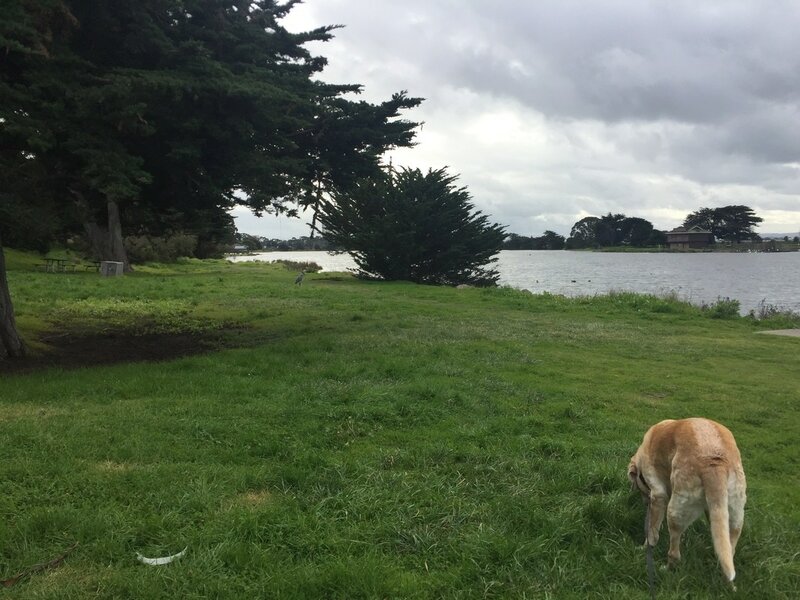 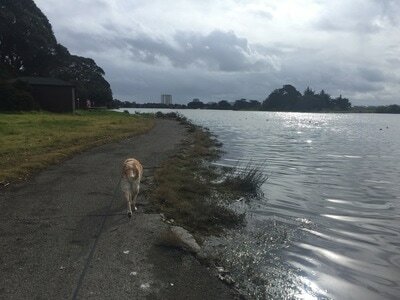 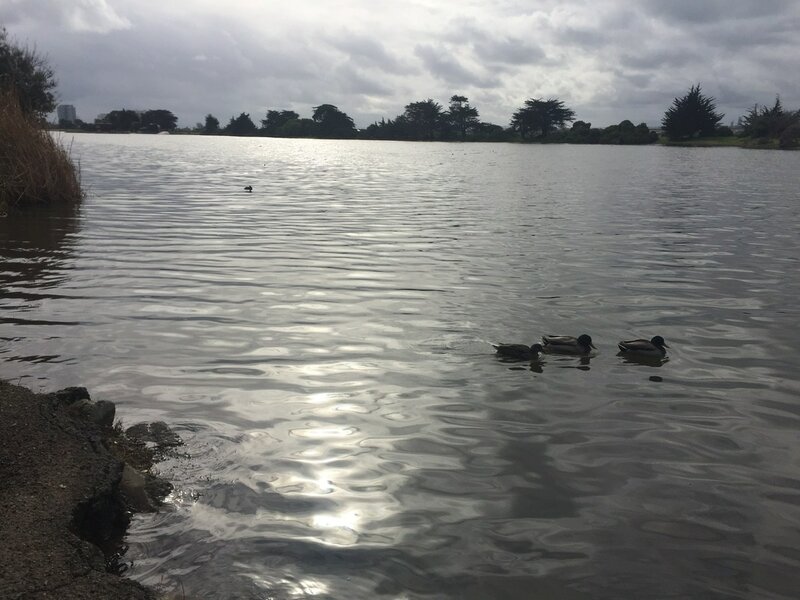 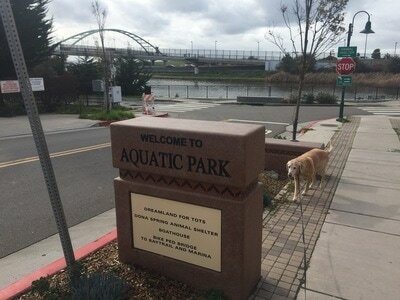 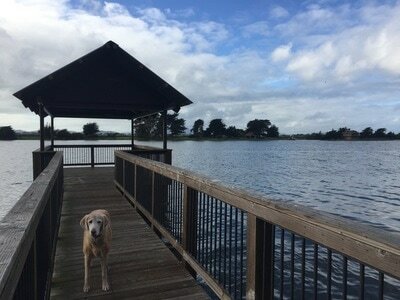 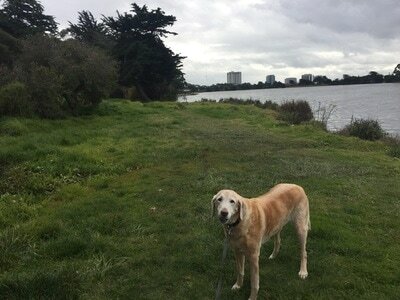 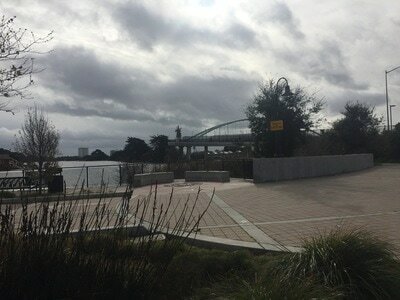 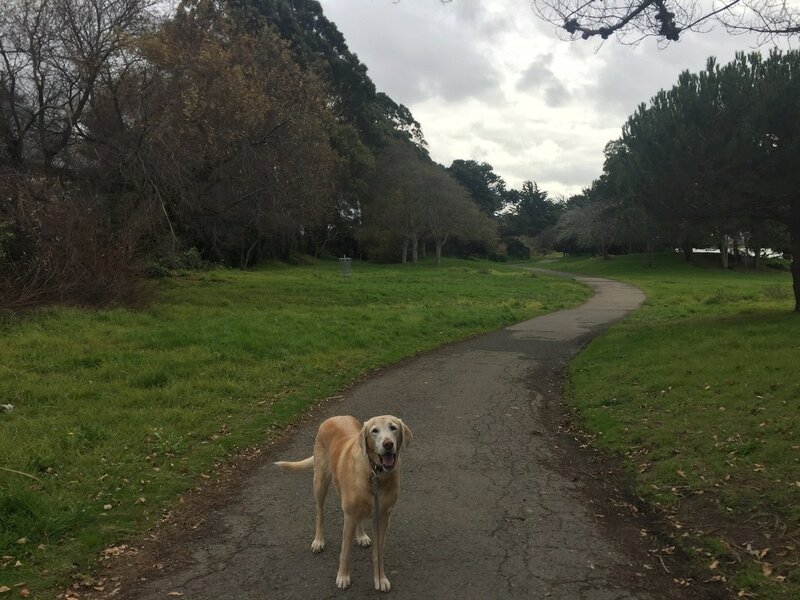 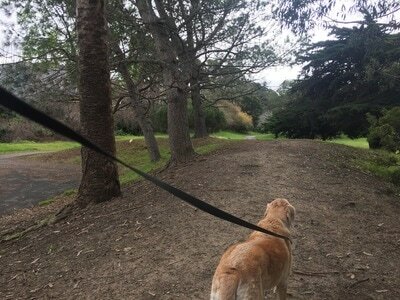 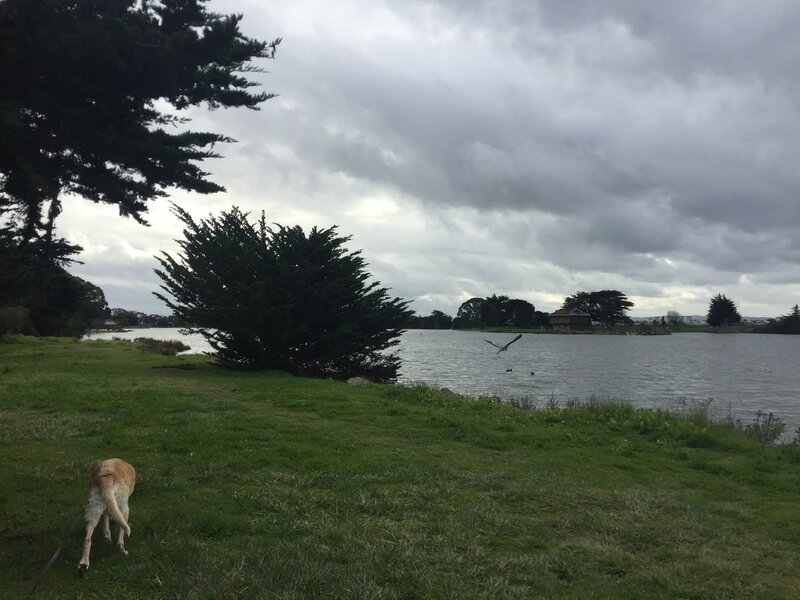 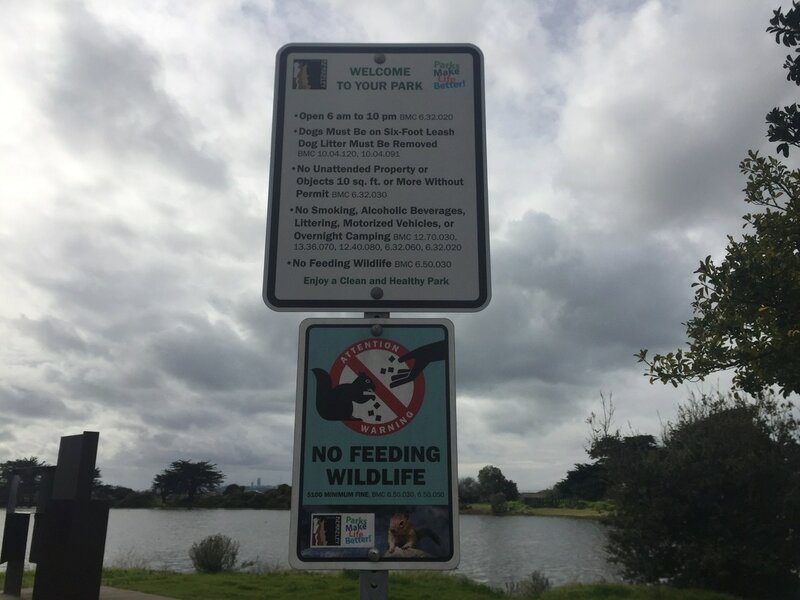 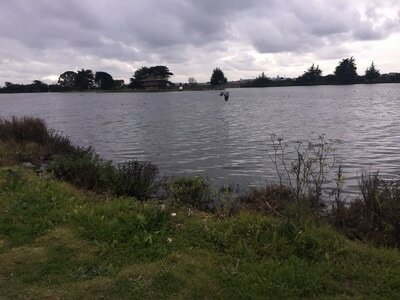 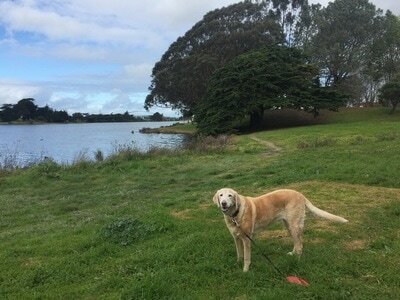 Description: This park is nearly 100 acres, surrounding a large lake with wetlands. 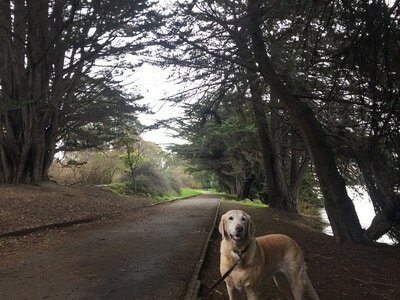 It’s a nice, mostly flat walk along the lake, with trails winding through the woods. There are plenty of benches and picnic tables, and even a short boardwalk leading out on the water. 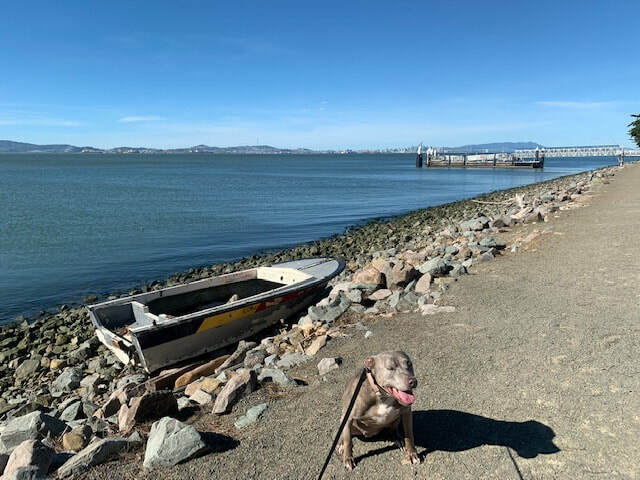 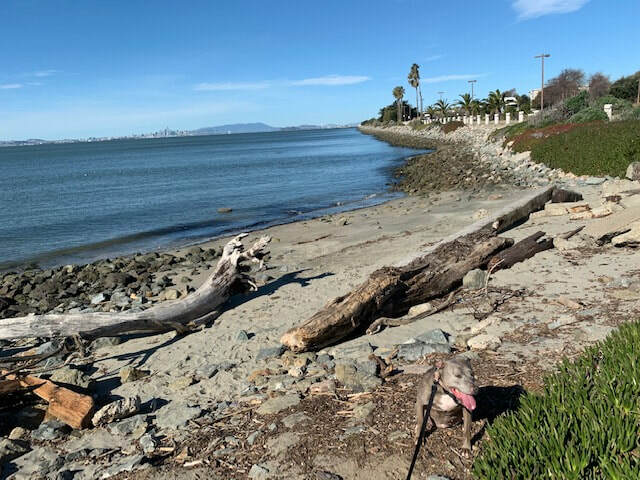 It’s also a great place for nature watching, as you’ll see ducks, egrets, herons, robins, butterflies, and maybe even turtles and gophers. There’s a large playground within the park, but dogs are not allowed in the playground area. 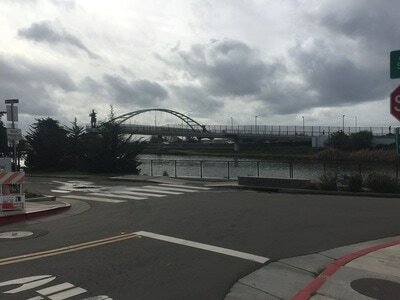 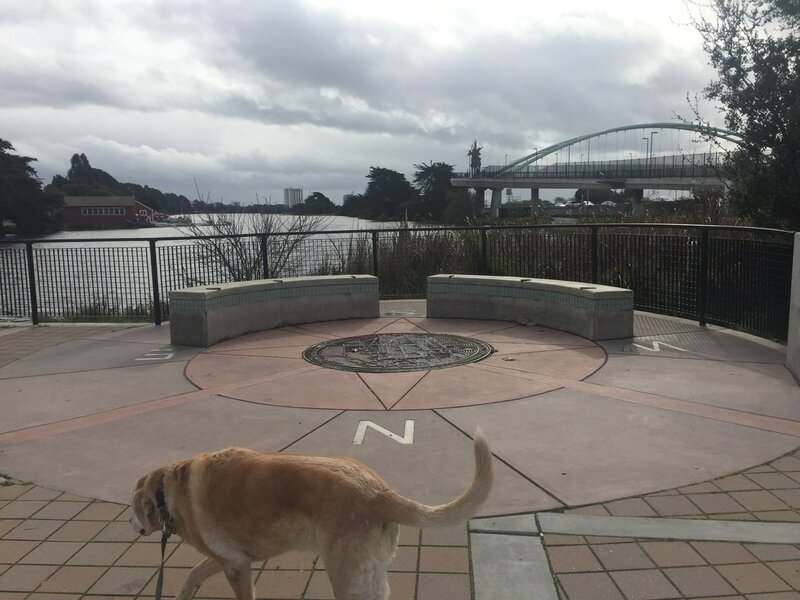 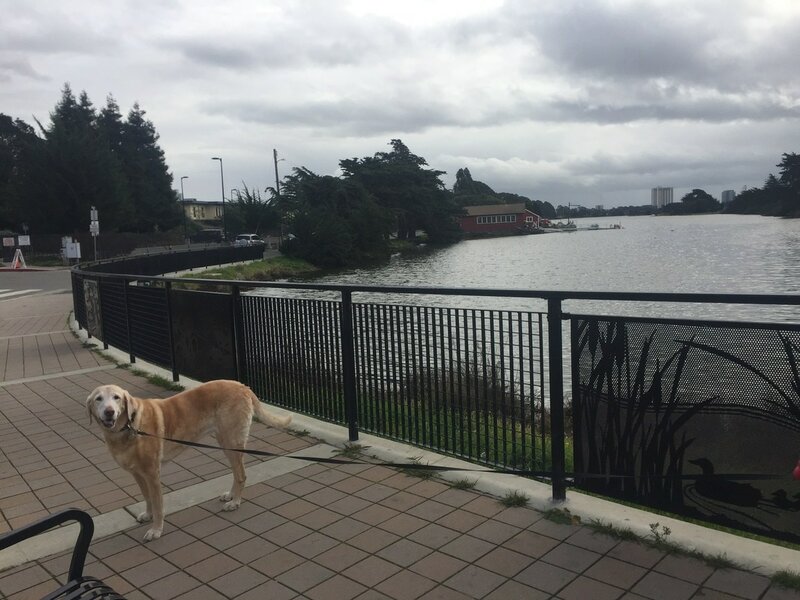 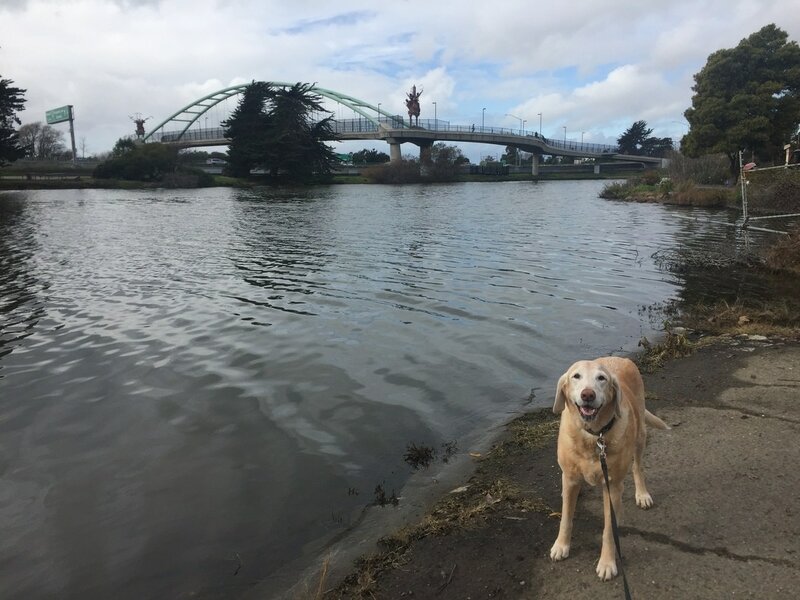 To extend your walk, you can cross the foot bridge over the highway and continue on the SF Bay Trail. 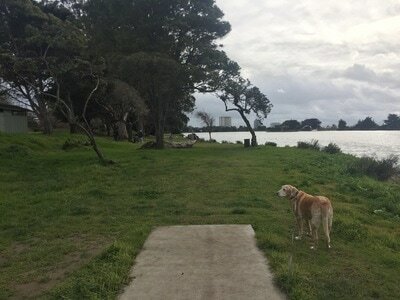 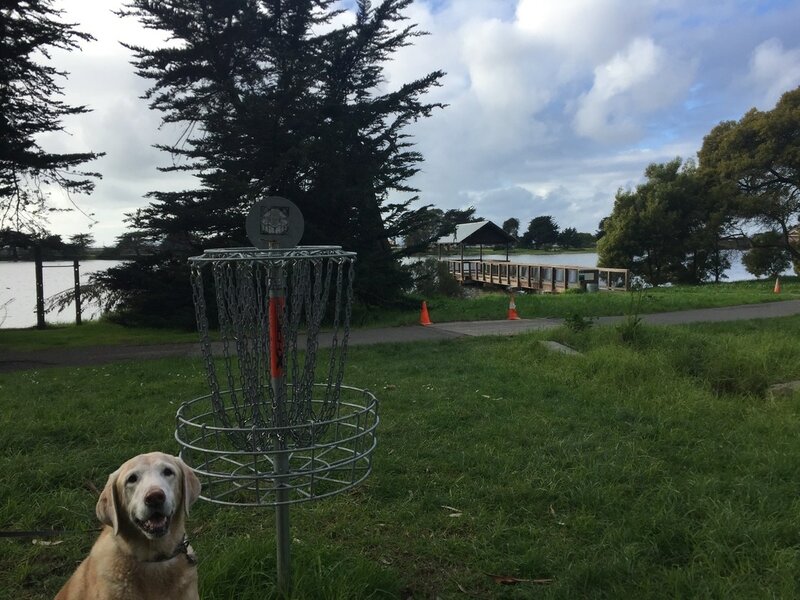 This park also features an 18-hole disc golf course with the lake as a beautiful backdrop. 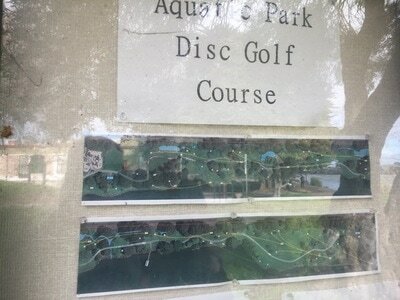 If you’re not an expert, I would recommend skipping few of the holes because you have to throw over sections of the lake. 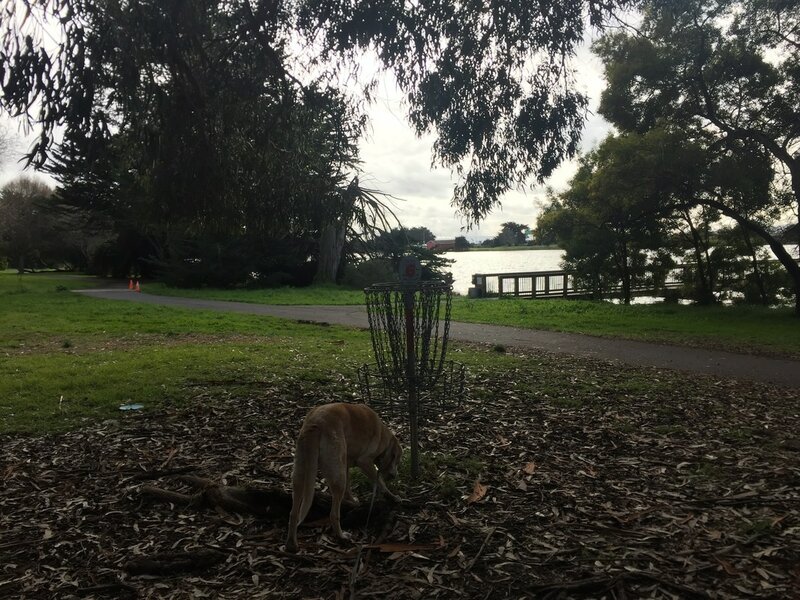 This park is windy and those shots can easily lead to lost discs. 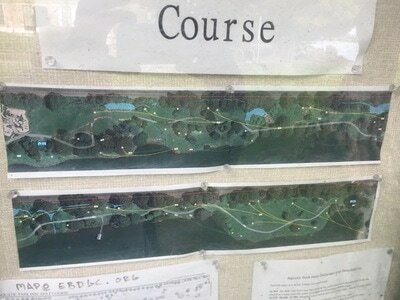 The holes aren’t very well-labeled, but there’s a map at the entrance to the course and most of the baskets have small numbers on the top. About half of the holes are on the other side of the trail (facing away from the lake), so beginners can easily play 9 holes without fear of losing discs in the lake. 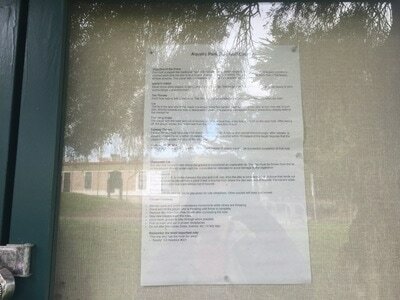 Restrooms and running water are available near the playground. There is also one Porta Potty on the other side of the park (on the Ashby side).